While Cebu is a popular vacation getaway and a gateway to a thousand more journeys, not much is published about quick city tours in Cebu. I decided to create this post to bridge the gap in information. Read along and I hope this will be a big help for tourists wanting to take on quick city tours in Cebu. Explore the center of what was the country's oldest city. Take a walking tour of the old Spanish quarters of Cebu City. It is where most of the oldest Spanish establishments in the country are located. Visit Fort San Pedro. Stroll at Plaza Independencia. Drop by the Basilica Minore del Sto. Nino. Come before the Magellan's Cross. Say a prayer at the Cebu Metropolitan Cathedral. Explore the Archdiocesan Museum of Cebu. And discover Plaza Hamabar. 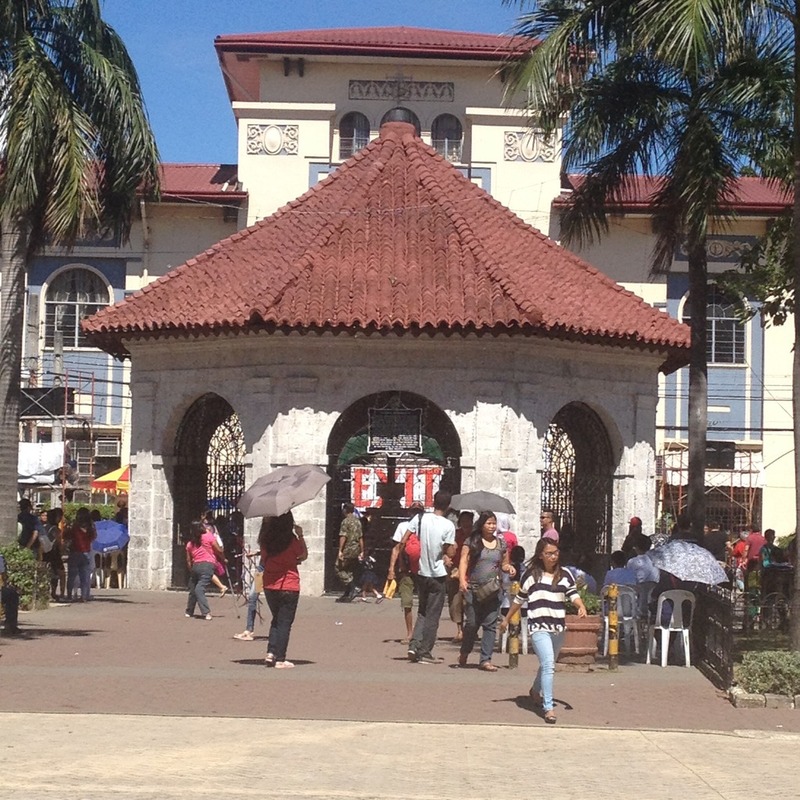 Also within the area is a marker indicating the birthplace of Cebu's Grand Old Man and former Philippine president Don Sergio Osmena, Sr.
Once the center of Cebu's trade, a visit to Pari-an is also a good experience for history buffs. Two of the oldest residential buildings in the Philippines can be found in the area: the Yap-Sandiego Ancestral House and the Jesuit House of 1730. The Jesuit House of 1730 also houses the Museo Pari-an sa Sugbu. 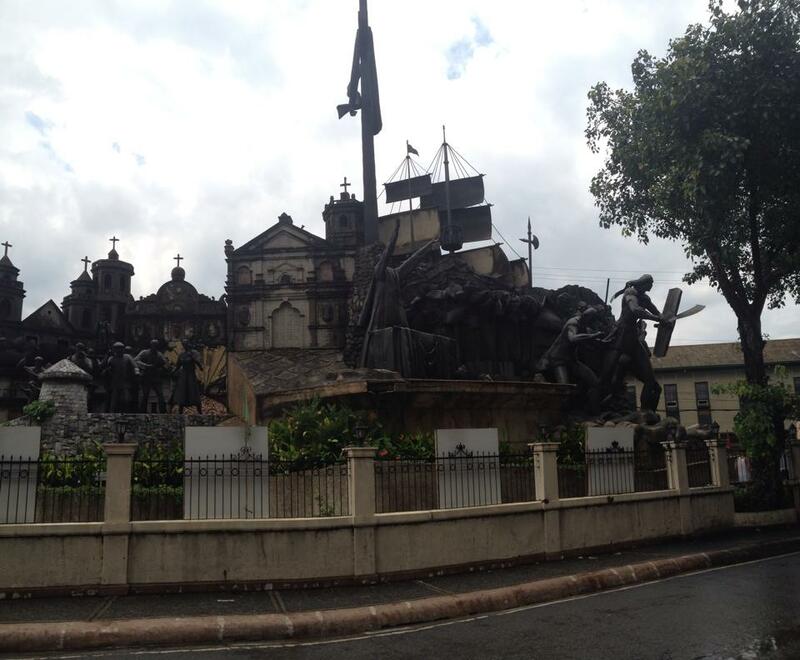 Also in the area is the Heritage of Cebu Monument which is built on the old Plaza Pari-an. The Pari-an Fire Station is built on the foundations of the old church. Casa Gorordo, the residence of the first Filipino archbishop of Cebu is along Lopez-Jaena Street. Further on M.J. Cuenco Avenue is Museo Sugbu. It used to be Carcel de Cebu. Carcel de Cebu was Spanish-era jail facility now turned into a museum. Cebu City is not all urban. So when you feel like exploring more of the green side of town, take a mountain-themed quick city tour in Cebu City. This one should take you to the Sirao Flower Garden, the the Temple of Leah, and Tops. There are also quite a number of resorts and restaurants in the area going to Balamban via the Transcentral Highway. Osmena Boulevard is a stretch of road that is rich in history. It was once referred to as Jones Avenue. Jones Avenue is a name that still persists to this day. Many buildings from the American colonial period and buildings built shortly after World War II dot this main Cebu City thoroughfare. 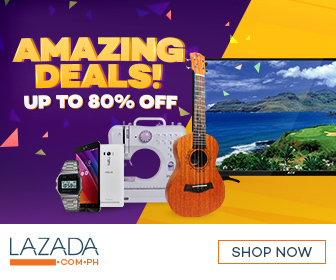 Places of interest are Abellana National School, Cebu Normal University, YMCA Hostel, CAP Museum, Fuente Osmena Circle, Rizal Public Library and Museum, and the Cebu Provincial Capitol Building. Colon Street is the country's oldest street and has a rich history. Walk along this street and learn about what establishments used to be located in Calle Colon. Informational markers are put up along the route indicating which establishments used to be located in specific locations along the street. Just be on guard when strolling at Colon. The place is known to be an area where there are lots of pickpockets. Adjacent to the old Spanish quarters are buildings built along the waterfront during the American colonial period. These are the Aduana Building or Malakanyang sa Sugbu, the Compania Maritima Building, and the Gotiaoco Building which will soon be turned into the Sugbu Chinese Heritage Museum. Add the nearby BPI Museum to this list as well. There's a number of interesting places to visit and activities to do in Mactan Island. Near the city's public market is the Birhen sa Regla Parish Church, the Saint Alphonsus Catholic School, and the Muelle Osmena Wharf and Lighthouse. Mactan Shrine is in Barangay Mactan and Pawud Spring and Cave is in Marigondon. There are lots of activities that can be done as well. Explore the underwater world without getting wet in a submarine tour. Or try scuba diving, helmet diving, and snorkeling if you don't mind getting wet anyway. You can also just enjoy the beach and the sun. There's also a hot air balloon to ride if you want to see Metro Cebu from up above. If you just want to have fun in the water, enjoy some water sports. Options include a banana boat ride, parasailing, kayaking, and other paddle sports. Island hopping in the Mactan Channel is actually a popular activity among tourists in Cebu. It is probably the most popular tour in this list. Among the popular islands to visit are Olango, Sulpa, Caohagan, Caubian among others. Although part of Cordova town, Nalusuan and Gilutungan Islands are also popular islands to visit during island hopping trips in the Mactan Channel. A relatively less popular option in this list for a quick city tour in Cebu is a tour around urban Talisay City. The stops around the old poblacion may include the Spanish-era Sta. Teresa de Avila Parish Church, the MacArthur Park and Talisay Landing marker, and Lechon Lane. 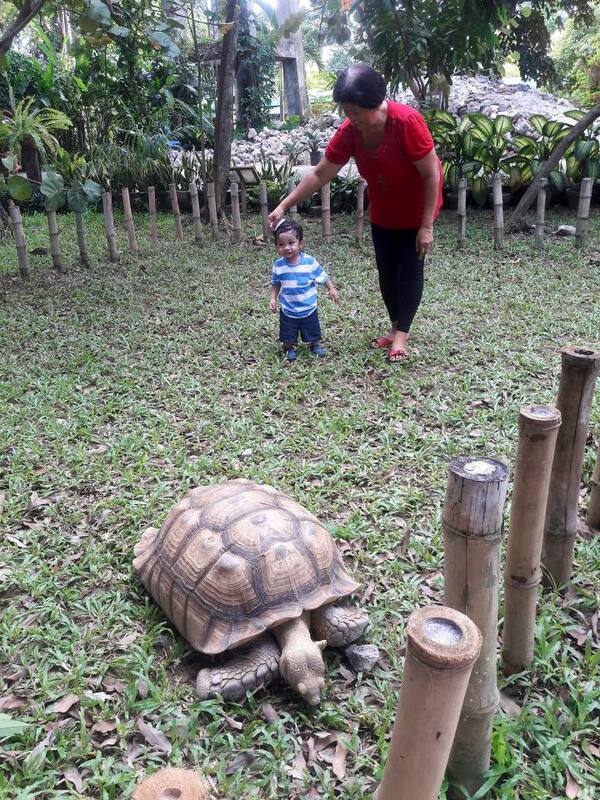 Crocolandia Park in Biasong is another place to visit. They breed crocodiles. Talisay also has reasonably-priced beach resorts. Although the quality of these resorts are not as good as the ones in Mactan and elsewhere outside Metro Cebu. Do you want to embark on a quick city tour in Cebu soon? Let me know as I am also planning to do them as part of my blog posting plan for the CBC 30-day blog posting challenge. 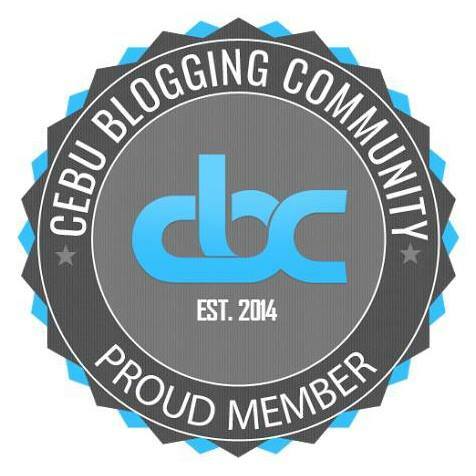 Can you suggest an itinerary for a quick city tour in Cebu? You may share them in the comments below.